The promotion for the movie has been strong enough. For an independent movie, devoid of proper studio or big company funding (we don’t really have studios per se), pretty much everyone who needed to hear about the film and know what it’s all about have heard it. Those who may have failed to be exposed to ‘Kil’ are perhaps the same ones who wouldn’t pay much attention to begin with; if you follow the right people on Twitter, there’s no way this movie would have escaped your attention. For those who may not have been so familiar with the film, it tells the story of Akil (Redza Minhat), or Kil for short. Living in the city, he is a depressed young man with suicidal intentions. We see this within the very first frames of the film, when he attempted to commit suicide in his car. A technical deficiency in his car itself meant that wasn’t carried out, but flaws in vehicles won’t stop the man. He considers the next step forward, and came across a company called the Life Action Bureau, or LAB for short. I found this really interesting, given that the production company which made this film is Flux Visual Lab. Interesting correlations could be drawn here, but the only thing you need to know is this: this company helps to end your life. You go in, you meet the big boss (Harun Salim Bachik), and you agree to a contract killer who will end it for you at the time when you least expect it. That suits him just fine; a part of the reason things haven’t been working out for him could be the fact that he knows when his life would be ended. Perhaps there is a subconscious kick against that. Of course, along then comes a girl to change your mind, and more importantly, your heart. Zara (Cristina Suzanne Stockstill), a lovely young lady with a more positive outlook on life (then again, any outlook would be more positive than that of a suicidal). They meet innocuously on the train, and as life just has it, they happen to live in the same block of flats, too. Spending more time together (including the requisite rooftop scene) means that they get to know each other better, and the better they know each other…well, you can guess what happens next. Many of lauded this film for having a unique and different story worth seeing on screen. For my part, I don’t disagree entirely, as this film represents a new and shifting (however minor it may be) sense of aesthetic in mainstream Malaysian films. It may be independent in terms of its sourcing and financing, but the presentation of the film appears to be top-notch in many departments. I appreciate the fact that music, for example, was crafted and composed specifically for the film. There’s a part of me that appreciates the creative manipulations of other film producers in appropriating music made by other composers for other films…and there’s a part of me that finds those blatant acts of stealing to be repugnant. As such, Saiful Ridzuan’s work, understated but key in many of the more important scenes, reflects both the tone of the film and the production. Sometimes it’s a combination of different sounds, at times it’s just some notes on a piano. I must admit, though, that at times I thought he might have launched full-power into the Coca-Cola advert, such is the similarity to the capitalist jingle at times. It has a dreamlike quality to it, the utilisation of what appears to be air chimes important in creating this mood. That’s not entirely surprising, as one of the main characters, Zara, is crafted and developed primarily as the manic pixie dream girl. I know of that because: a) the director, Nik Amir Mustapha, said so at a recent event, and b) she really is like that in many ways. What is the manic pixie dream girl? What is Zooey Deschanel? Find the answer to the latter, and the former shall answer itself. This is not just through the behaviour (at times, she appears to hop about the place), but also in the way she is presented, with her clothes and hairstyle. My cinematographer has already fallen in love with her, evidenced by numerous Whatsapp messages at 3 o’clock in the morning, but I rest assured knowing that he is not the only one. It’s also one of the first films I’ve seen to truly maximise the DSLR aesthetics I’ve noted many moons ago. Some of these aesthetics include a highly colour corrected post-production stage, fully usage of the depth of field, and a very strong and clean resolution in the presentation of images. The visual of the gun used to conduct such killings by LAB, with a very narrow depth of field, made for an interesting image. The camera, at times, peeking from behind ornaments or props, made it feel as if we are a part of the scene, waiting in hiding as we eavesdrop on these characters going about their lives. It’s all good here. I do feel, however, that the characterisation of certain characters could have been made and developed a lot more positively. There is a certain turn by someone, a plot point important enough for me to not reveal what happened, but it is enough to say that the turn was surprising and did not feel satisfying for me. Such twists and turns in a story, any story, is something that I believe should be done with breadcrumbs dropped along the way. It means that the audience at the very least has a decent chance of trying to grasp what was going on immediately, a reaction more gratifying than a “What the f*ck?” Of course, I could well be wrong here in having such ideals, but ultimately, it is a turn that did not necessarily match something I consider to be important, and it resulted in this character being a little too illogical for me. It is on that note that I also wish to continue on the thread of thought above. Many have lauded this film for having a unique and interesting story worth watching. I have noted the interesting elements above, but ultimately, it tells of the story of a boy who meets a girl. There is enough that is new here, but does it make it unique? To a certain extent, I would say yes, but the promotional efforts have pushed for this film to be a game changer of sorts. I fail to be enticed by such efforts, partly because I believe that certain segments of the demography here in Malaysia are desperate enough to champion anything remotely similar to their values in an unfamiliar battlefield (i.e. an independent mainstream feature film released against the bad boys with RM2 million to play with). 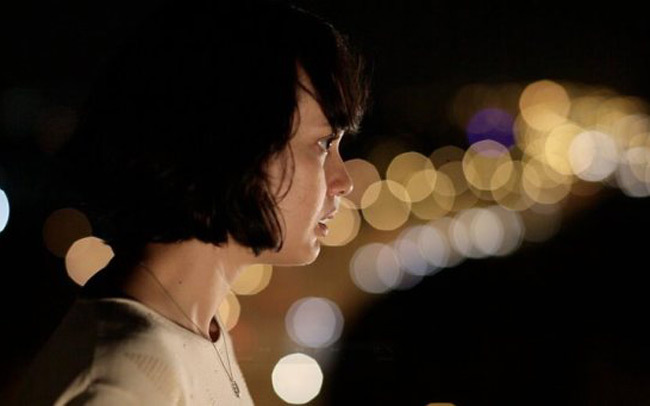 The feelings of disappointment as the film did not gross enough to classify it as a blockbuster is also palpable on Twitter and Facebook, justifying further the apparent ineptitude of Malaysians audiences who fail to support “a good Malaysian film”. I fail to see how a film which grossed over ten times it’s supposed production budget (sans marketing monies) is a failure, especially one without an established star of sorts, however pretty the leading ladies may be. A shot to make my cinematographer (and others) happy. 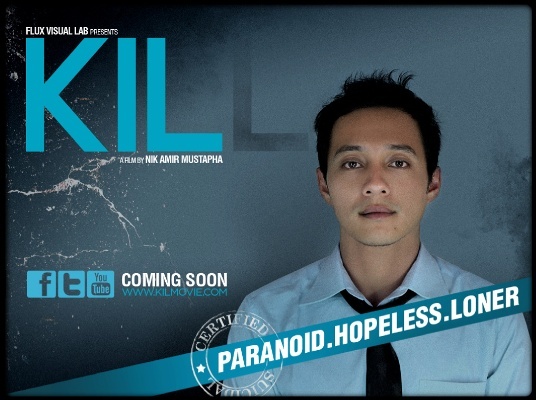 ‘Kil’ is a good film because it explores contemporary issues through a contemporary point of view; as we move further and further into becoming an extreme society (more and more human beings working longer hours and being more disconnected from one another on a physical plane), these are issues worth considering. Though it is initially perplexing, the non-linear element of certain scenes challenges us to make the connections and understand why Kil feels the way he does. The treatment of a subject matter that is potentially sensitive for some is worth lauding simply because it was well done by a capable first-time director. It is a good movie because it featured a number of strong performances from different actors. I fail to be truly moved by Redza Minhat, unfortunately, primarily because he appears to base everything in the film on one single reaction. Though I appreciate the Johan Iskandar (Hansul Rahmat) segments, it did not appear to sit in as well with the rest of the film, for the sudden shift to an almost-first-person point-of-view for a fairly minor character seems to detract rather than add to the overall experience. It’s there for a reason, and there’s a not-too-subtle message to be discerned there, but it does not work as well for me. However, the appearances of actors such as Harun Salim Bachik, who commands the majority of his scenes with charisma, and the absolutely freakin’ brilliant Anne James more than made up for it. She is a renowned stage performer, but I have not seen her in a film up until now, and it is to our loss that her appearances have been far and few in between, for she milked every single frame she was in. A scene between her character and Zara near the end was absolutely delicious in its raw emotions. I am reminded of Adriane Lenox, the stage actress who stole the few scenes (shots?) she was in the film ‘The Blind Side’ as a distraught mother. Kil is a good film because of these performances and more. It is a good film filled with wit and romance, the kind that many people actually wish to happen in real life. It is a good film that deserves to be seen as a good film, regardless of the nationality of its cast and crew and the source of production monies. Kil is a good film, a very good film, full stop. Fikri can’t believe how young the director, Nik Amir Mustapha, appears to be. Check out our Facebook page here and follow us on Twitter, @tof_show.